Trading as: TT Mask SA on the website www.ttmask.co.za (the Site) and its subsidiaries, associates and officers unless otherwise stated. TT Mask SA accepts credit card via Visa and MasterCard only. This payment method requires you to transfer money directly from your bank account into TT Mask SA account, through computer-based systems. All bank deposit and EFT require the payment to reflect in the bank account before the order will be processed. No Cash on Delivery will be allowed. All the order will only dispatch in next working day after the payment has been confirmed. d. No Next day service will be available. Delivery fees and cash handling fees are non-refundable. TT Mask South Africa PTY LTD. shall be entitled, at its sole discretion, to determine which areas it considers as Main Centre and Outlying Areas as well as identity areas in Cape Town suitable for Three (3) Days Delivery. TT Mask South Africa PTY LTD. shall be entitled to re-evaluate and make changes to these areas from time to time as it deems necessary. Please refer to our Refund Policy for more information about cancelling orders after delivery, and about returns (and related refunds, and replacements). The Refund Policy is incorporated by reference (which means that it forms part of these Terms and Conditions). You may use promotional vouchers or coupon as payment for standard price on website. Vouchers/promotional coupon will not be able to purchase any special deal which promoted on website. Can only redeem against the regular price. All the vouchers has expire date. Eon-Tech Corporation (Pty) Ltd T/A TT Mask SA will not take any responsibility for any loss after vouchers or coupon has been issue. Return must be logged within 14 days of item being delivered, 14 days have gone by since your purchase, unfortunately we can’t offer you a refund or exchange. To be eligible for a return, your item must be unused and in the same condition that you received it. It must also be in the original packaging with all seals still intact. If you’ve done all of this and you still have not received your refund yet, please contact us at info@ttmask.co.za. We only replace items if they are defective or damaged during transport. If you need to exchange it for the same item, send us an email at info@ttmask.co.za within 24 hours after the received date. R145 will be charge for collection of wrong goods from customer. 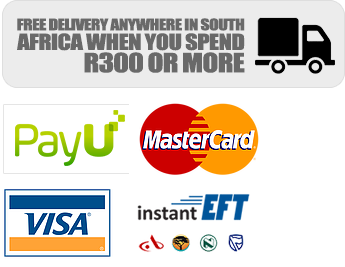 R290 will be charge for both of re-send the correct items and collection of wrong goods from customer. No extra fee will be charged if Eon-Tech Corporation (Pty) Ltd sent the wrong items. If you are unhappy with the goods you have received due to damaged material or factory faults you can return them to us for a replacement or a full refund of the purchase price less merchant commissions of 5% or bank charges. Products must be returned to us within 10 days of receipt and at the customers expense. Refunds for the purchase price (which does not include postage) will be issued for products returned in perfect condition and in their original packaging. Please note that the returned goods are your responsibility until they reach us. We cannot be held responsible for any goods lost in transit to us. All our products are Official Products straight from the licensed manufacturers and will not accept returns regarding this matter. If we are unable to supply an item and payment has already been made, you will have two options: 1) We will issue you a full refund of the purchase price less 5% merchant commissions / bank charges, or 2) You can choose to wait until the item is instock again. Pictures on the site may at times vary in detail and colour to the actual product. Custom Kits: all our custom kits are manufactured with the highest of quality. Sizes and colours may vary so it is the responsibility of the customer to purchase a sample before ordering a set of kits. The reason for this is because there are thousands of various shades of blues and greens etc, so what you see on screen will be as close as possible to the actual colour of the kits. Once the kits have been personalised by names or numbers it will not be returnable as we may not be able to resell your custom kits. It is the customers responsibility to read through the conditions on our website before purchasing. Pro Soccer Merchandise cc will pay the postage price for any goods that need to be resent in an exchange situation where a fault was made on our side. If after you opt-in, you change your mind, you may withdraw your consent for us to contact you, for the continued collection, use or disclosure of your information, at anytime, by contacting us at info@ttmask.co.za. If you would like to: access, correct, amend or delete any personal information we have about you, register a complaint, or simply want more information contact our Privacy Compliance Officer at info@ttmask.co.za. This website is operated by Eon-Tech Corporation (Pty) Ltd T/A TT Mask SA. Throughout the site, the terms “we”, “us” and “our” refer to Eon-Tech Corporation (Pty) Ltd T/A TT Mask SA. Eon-Tech Corporation (Pty) Ltd T/A TT Mask SA offers this website, including all information, tools and services available from this site to you, the user, conditioned upon your acceptance of all terms, conditions, policies and notices stated here. In no case shall Eon-Tech Corporation (Pty) Ltd T/A TT Mask SA, our directors, officers, employees, affiliates, agents, contractors, interns, suppliers, service providers or licensors be liable for any injury, loss, claim, or any direct, indirect, incidental, punitive, special, or consequential damages of any kind, including, without limitation lost profits, lost revenue, lost savings, loss of data, replacement costs, or any similar damages, whether based in contract, tort (including negligence), strict liability or otherwise, arising from your use of any of the service or any products procured using the service, or for any other claim related in any way to your use of the service or any product, including, but not limited to, any errors or omissions in any content, or any loss or damage of any kind incurred as a result of the use of the service or any content (or product) posted, transmitted, or otherwise made available via the service, even if advised of their possibility. Because some states or jurisdictions do not allow the exclusion or the limitation of liability for consequential or incidental damages, in such states or jurisdictions, our liability shall be limited to the maximum extent permitted by law. You agree to indemnify, defend and hold harmless Eon-Tech Corporation (Pty) Ltd T/A TT Mask SA and our parent, subsidiaries, affiliates, partners, officers, directors, agents, contractors, licensors, service providers, subcontractors, suppliers, interns and employees, harmless from any claim or demand, including reasonable attorneys’ fees, made by any third-party due to or arising out of your breach of these Terms of Service or the documents they incorporate by reference, or your violation of any law or the rights of a third-party. These Terms of Service and any separate agreements whereby we provide you Services shall be governed by and construed in accordance with the laws of Eon-Tech Corporation (Pty) Ltd. Questions about the Terms of Service should be sent to us at info@ttmask.co.za.